American slavery is an essential part of any history education, and yet it remains one of the hardest subjects to teach. Teachers at all levels grapple with the complexity of the institution, its brutal traits and, most of all, its legacy of racism. Understanding and Teaching American Slavery provides vital insights and concrete strategies for teachers at every level and will dramatically improve the way that American slavery is taught. 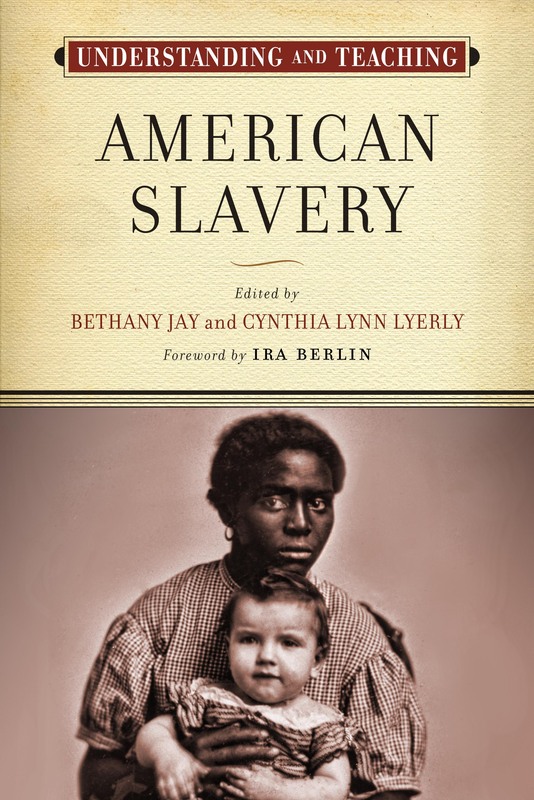 Recent scholarship has demonstrated the essential role that slavery played in the development of every part of American culture including the economic growth of both the North and South, the religious traditions of the American people, and the ideological core of the nation as demonstrated in the Declaration of Independence and Constitution. Despite this work on the meaning of slavery in American history, most classrooms relegate its discussion to the nineteenth century as one of the causes of the Civil War and treat it as a Southern, and not an American, institution. This treatment of slavery does not do justice to its long history in the United States, its complexity as an institution, and its impact on the development of the entire nation. There are unique challenges to teaching American slavery. One only needs to look at a host of current events to find evidence of both the importance of race in American culture and the fact that the American public still has a hard time talking about the subject. Part of the American public’s problems with race stems from the second challenge to talking about slavery—the widespread sense of shame at its very existence as part of the American story. For many people, the nation’s history of slavery is so antithetical to its proclaimed values that a sustained discussion of the subject seems somehow unpatriotic. All teachers confront these universal challenges when they talk about slavery with their students, but they also face difficulties that are unique to their specific grade level and setting. Many teachers worry about exposing their students to racism and slavery in a way that does justice to the reality of the institution but is also age-appropriate. Others worry about reinforcing stereotypes or creating divisions within their student populations. Added to all of these concerns is the fact that few of us are content experts in slavery. While many dedicated teachers have invested significant time and effort into developing a better understanding the subject, mastering the recent literature is a daunting task. It is made even more intimidating by the complex role that the history and memory of slavery plays in contemporary American culture and politics. Understanding and Teaching American Slavery is designed to help teachers more effectively integrate a study of American slavery into their classrooms. By providing both content and resources from across the time and landscape of American slavery, The book will help teachers to envision and teach slavery as fundamental, and not incidental, to the history of the United States. In addition, the content and methodology explored in Understanding and Teaching American Slavery gives teachers the content mastery needed to teach about the contours of American slavery, and it will help teachers to navigate the sensitive issues surrounding American race and slavery. In short, this volume will give teachers both the ability and confidence to bring this difficult subject into the classroom.